Wittgenstein, a relative of the famous philosopher, is a man of ideas himself, but unlike Ludwig, his never make it onto paper. Instead, he has spent his life following his whims, giving money away, getting in a taxi to head off to Paris (for no reason) and drinking enough champagne to floor an elephant each day at the bar of the famous Hotel Sacher in Vienna. Sadly, his mental illness can only be handled for so long, and his life consists of a series of swings between manic outbursts and forced stays in the institute, from which he emerges enfeebled and broken. Wittgensteins Neffe, then, is Bernhard’s attempt to introduce his friend to the world, a sketch of an unorthodox eccentric whom his rich family would like to disown because of his embarrassing behaviour (which should sound fairly familiar to any Bernhard admirer…). In real life, Bernhard’s friendship with Wittgenstein is well-known, meaning that the reader immediately wonders whether what they’re reading is fact or fiction. In truth, the book is, like much of Bernhard’s ‘fiction’, a combination of the two, with the irascible writer perhaps coming closer here than ever to baring his soul. From the start, when Bernhard, recuperating from his operation, is ready to risk his health to surprise Paul in his involuntary residence down the hill, the book describes a close male friendship. The writer credits Wittgenstein with inspiring him to stretch himself intellectually, and with saving him from mediocrity. Cue here the usual swipes at the Viennese cultural scene, which Paul stands above. Bernhard describes his friend’s ability to make or break an opera, a fearsome sight in the standing area, ready to lead the cheers or start the whistles – he’s truly a fascinating character. In diesen Köpfen entsteht schließlich fortwährend und tatsächlich ununterbrochen ihr Geistesvermögen mit einer viel größeren und grausameren Geschwindigkeit, als sie es zum Fenster (ihres Kopfes) hinauswerfen können und eines Tages explodiert ihr Kopf und sie sind tot. So ist der Kopf von Paul auch eines Tages explodiert und er war tot. This mental explosion, though is not what it seems. While we fear another of Bernhard’s early, tortured deaths, what we see towards the end of the book is a picture of a sad, lonely old man shuffling his way to the grave. Wiittgensteins Neffe has much of the usual Berhardian style, taking the reader on the expected tour of upper-class Wien, with visits to the Opera, the Sacher and various literary cafés. The novel consists of one, extended (*very* extended) paragraph, and the writer delights in long sentences full of deliberate repetition. The musical variations on a linguistic theme push his ideas to their limits, and beyond, and when he gets it right, it’s a joy to read, even if it can be somewhat claustrophobic in places. 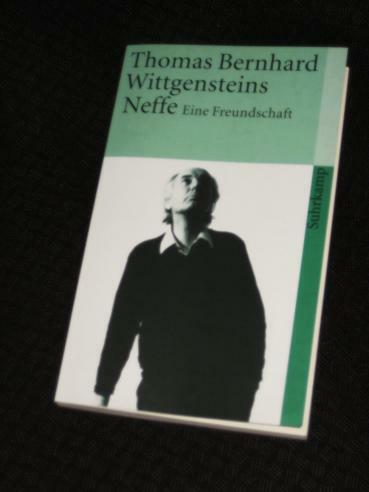 As much as Bernhard praises Paul’s genius, Wittgensteins Neffe is also about the writer himself, a tale of his own issues. Plagued by self-doubt (although you’d be forgiven for doubting that after reading the book), he struggles to maintain his self-confidence, particularly given his health issues. However, what comes across most strongly is a sense of the writer’s guilt, for while the book shows how Wittgenstein stood by him, we also see how Bernhard gradually distanced himself from the old man. 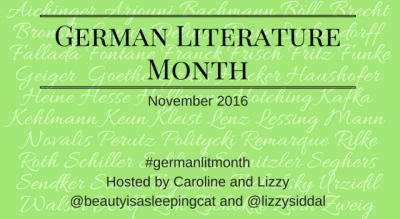 As the smell of death grew stronger, so did Bernhard’s dislike of visiting Paul, culminating in his failure to attend the old man’s funeral – or even visit his grave. Wittgenstein’s Nephew (I read the David McLintock translation) is my favorite Thomas Bernhard book so far, probably because it is less crabby than the others — or maybe because it references classical music. I am also fond of Correction (translated by Sophie Wilkins). Nanosecond – Ah, but I’m a big fan of the crabbiness 😉 I haven’t read ‘Korrektur’ yet, but it’s certainly one on my radar for the future. I was surprised by how – not cuddly, I guess – but sad, genuinely sentimental, the ending of Old Masters turned out, so I am not shocked to hear that Bernhard can be a little gentler – to individual people, no to the corrupt and rotting mass of Austrian arts and culture etc. etc. I gotta read this someday. I think I called a recent review of yours “convincing” – this one, too.